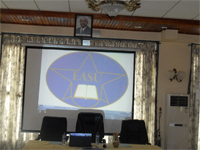 It is with great humility and honor that I welcome you to the East Africa Star University (EASU) website. 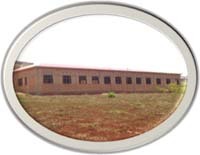 This website provides detailed information on EASU’s raison d’être. Going through various pages will enable you understand better our mission and vision for this burgeoning institution of higher learning. Faithful to the imperatives of national, regional, and international development, cohesion, and integration, EASU seeks to provide world-class training and learning with the purpose of contributing to the values that are cherished by all human beings; values of peace, dignity, and well-being. Furthermore, EASU stands ready to network with other institutions, both public and private, that share the same mission. Please, feel free to share with us any idea or remarks that can help us improve our service delivery. Thank you for having chosen East Africa Star University. You are most welcome. Je suis honoré aujourd’hui d’être parmi vous et c’est un réel plaisir pour moi en mon nom personnel et au nom de toute l’équipe de l’Université Etoile d’Afrique de l’Est de vous accueillir dans ses assises du 27 décembre 2012. 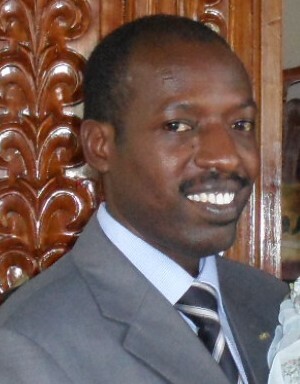 Je suis honoré d’être ici parmi vous, durant cette journée historique, pour lancer ce qui sera marqué dans l’histoire comme une institution qui aura contribué à la transformation du monde académique Est Africain en général et le monde académique burundais en particulier. Je suis ici aujourd’hui à cause de l’importance de notre pays le Burundi. Nous sommes un pays charnière entre l’Afrique de l’Est et l’Afrique Centrale. Nous partageons nos frontières avec deux pays aux ressources minières inégalées. For nearly two decades, the African Great Lakes Region, including but not limited to Burundi, Rwanda, and the Democratic Republic of Congo (DRC), has gone through difficult and challenging times of war, violence, lawlessness, and hopelessness. From the 1994 Rwandan genocide which claimed the lives of President Juvenal Habyalimana of Rwanda, President Cyprien Ntaryamira of Burundi and about one million innocent people in just 100 days to the Congolese wars which have taken nearly five million lives since 1996 through the Burundian civil war which lasted more than a decade and took hundreds of thousands of lives, this region has greatly suffered. Political institutions have been shaken and destabilized, poverty has increased significantly with many people living with less than one dollar per day, moral and human values have deteriorated for many years, access to reliable health care services has become a dream for many communities, quality of and access to education are just events of the past for many. In brief, hopelessness has replaced hope and confidence.